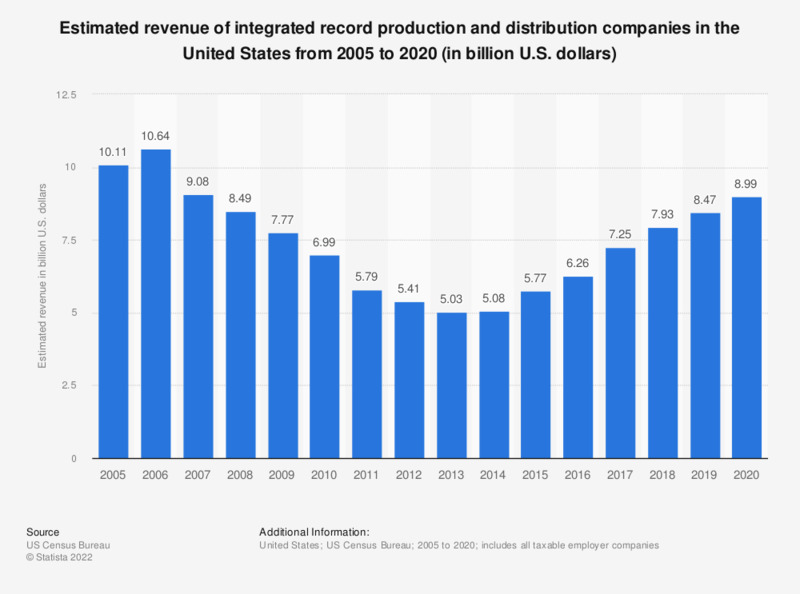 The statistic above presents estimates of the annual aggregate revenue of U.S. record production and distribution companies from 2005 to 2017. In 2017, integrated production and distribution companies generated an estimated total revenue of 7.21 billion U.S. dollars. Data for the period 2007 to 2015 has been adjusted using results of the 2007 Economic Census where applicable. Everything On "Record labels in the U.S." in One Document: Edited and Divided into Handy Chapters. Including Detailed References.